MISSION, KS--(Marketwired - Jun 16, 2015) - (Family Features) When short-sleeve shirts, tanks and shorts make their way into your everyday wardrobe, summer has officially arrived. And looking and feeling your best for all of those warm weather activities is important. 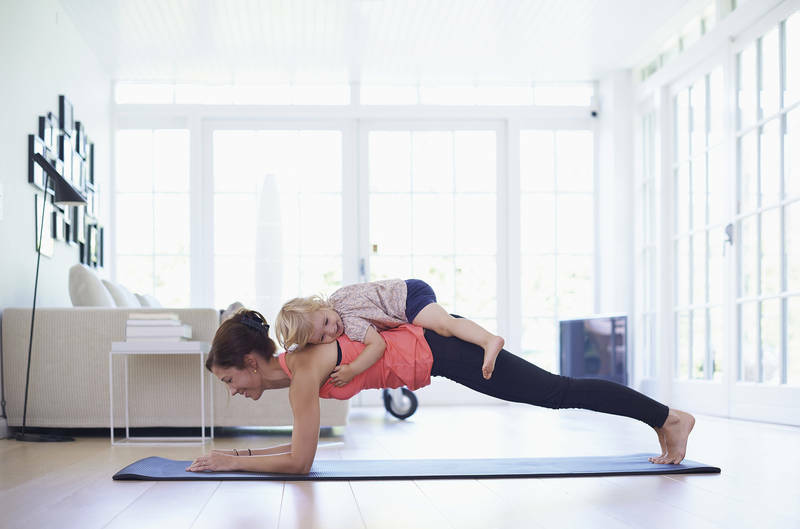 Busy women know that being active means more than just picking up a few healthy habits; it requires daily dedication. But sometimes despite best laid plans, real life gets in the way. You miss that gym visit or sleep through that workout class. Make the most of your summer days with these tips that are not only fun, but will get you moving, even on the busiest days. Establish a summer schedule. With kids out of school, it can be easy to fall into a more laid-back routine. Fight the urge to turn on the television and create an active schedule with your children. After dinner, have a family walk around the neighborhood or plan for weekend outings to your favorite local nature preserve. Schedule a walking meeting at work. If sitting in an office is part of your daily routine, make a point to be active. Need to go over some items with a co-worker? Avoid booking the conference room, and plan a walking meeting outside or around the building. Getting your heartrate up and taking in some fresh summer air may be just what you need for successful brainstorming on the job. Find motivation in all forms. Seek the help of like-minded individuals who also want to establish healthy routines. Look online for health and fitness blogs from other women who can share their own journeys toward better health. Or, invest in a wearable fitness device that offers a personalized experience, such as a Mira Fitness tracker, that understands your fitness level and offers tips and inspirational boosts relevant to you. For more information and to check out their blog visit www.mymirafit.com. Plan for an active vacation. Don't let travel plans justify inactivity. Use your vacation as an opportunity to get moving, and create new healthy experiences. Visiting a historic town or city? Check out a walking group tour to sightsee. Hitting the beach? Try beach volleyball, surfing or stroll beside the water every night. No matter where your travels take you, you can always find a way to be active. Find ways to beat the heat. Don't let the summer sun be your excuse to stay indoors on those extra hot days. Set your alarm early to get your morning run or hike in before those afternoon temperatures rise. Seek a refreshing, cool workout, such as water aerobics at the gym or paddle boarding at the lake when the temps are soaring. Let the inviting sun rays lure you outside and get moving. You may discover your next favorite workout, and other life hacks for a healthier you.